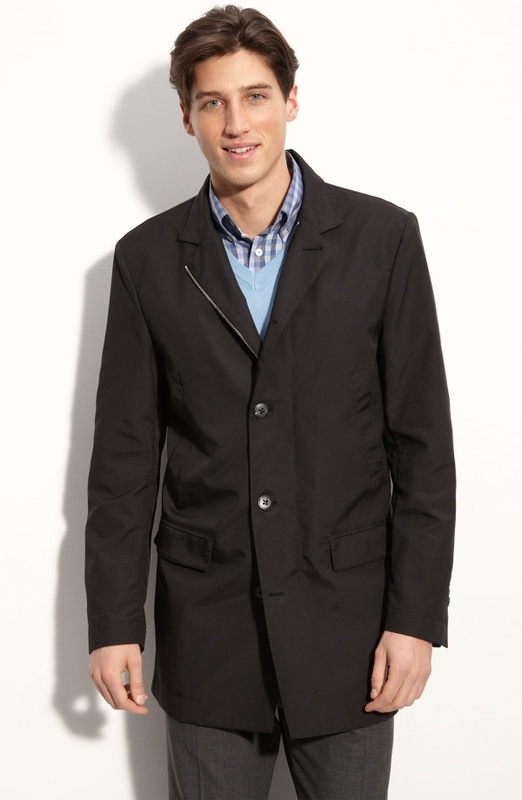 When the going gets wet, the dapper man puts on this three quarter length ‘Storm System’ jacket from Canali. A smart black affair, made for those April showers, this jacket is a polymide piece with waterproof qualities and a handsome collar, perfect for layering with more formal pieces. Available online now. This entry was posted in Outerwear, Tops and tagged Storm System. Bookmark the permalink.